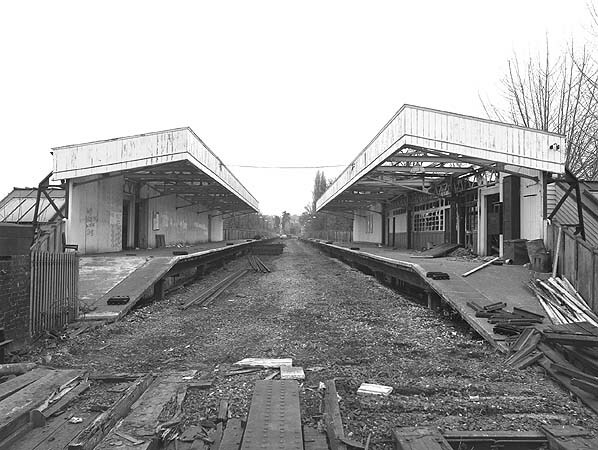 Present state: Demolished - the station, embankment and bridge removed and replaced by a tramway at street level. The only evidence of the station is a small section of brick wall that formed one side of the stairs to the 'up' platform. Notes: On 1st July 1906 a new halt was opened between Coombe Lane and Woodside in an attempt to attract more passengers to the Selsdon Line. 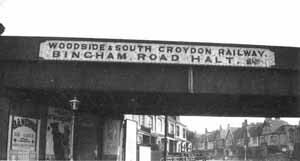 The station was originally going to be called Addiscombe Park but by the time it opened this had been changed to Bingham Road Halt. 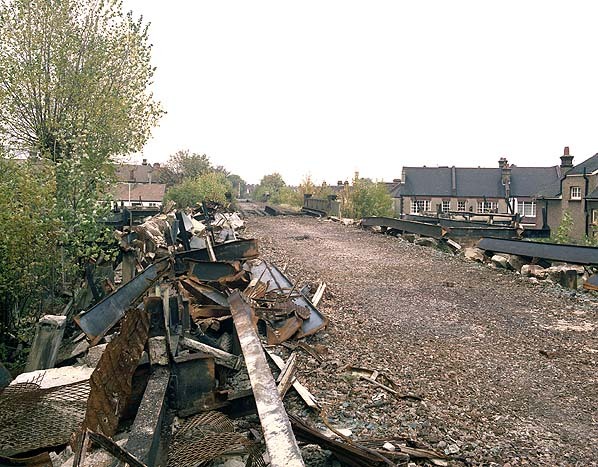 The halt had two timber platforms made our old sleepers and no buildings but it was short lived. closing on 15th March 1915 as an economy measure during WW1 and did not reopen after the war. sheltered by glazed wood and steel canopies. There were still no additional buildings on the platforms and there were no freight facilities at the station. 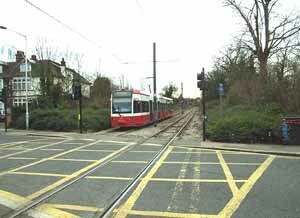 was re-laid at street level and a new tram station was built on the north side of Bingham Road, the original station having been on the south side. 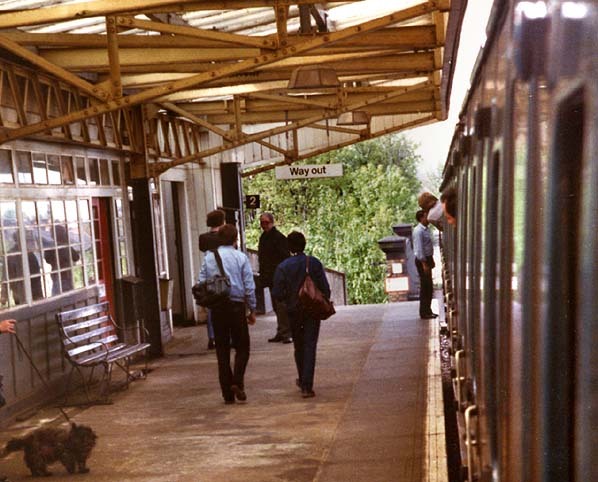 This station was named Addiscombe replacing the British Rail's Addiscombe Station which closed on 2.6.1997. Bingham Road Station used in the Tony Hancock film 'The Rebel' where he jumps in the train and gets out the other side and into the London bound train. For a while the line was used to store surplus goods wagons but after four years a daily goods service calling at Woodside and Selsdon Road was introduced. 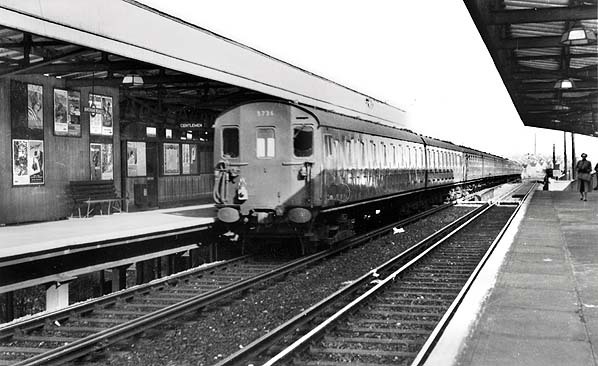 In 1927 the track was re-laid which brought speculation about the restoration of the passengers service, this didn't happen but the line became part of a new through route to the south coast and into Kent for excursions and special services. Oxted line as far as Sanderstead to allow trains to reverse. Coombe Lane was rebuilt and was rebuilt and renamed Coombe Road and Bingham Road Halt was rebuilt as a station. Initially it was going to be renamed Ashburton but on opening it retained its original name of Bingham Road. Selsdon Road was renamed Selsdon while Spencer Road Halt was not reinstated and the remains of the station were cleared away. 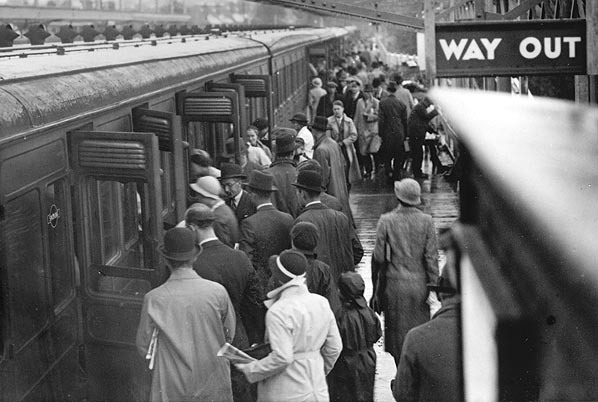 The new electric service started on 30th September 1935. 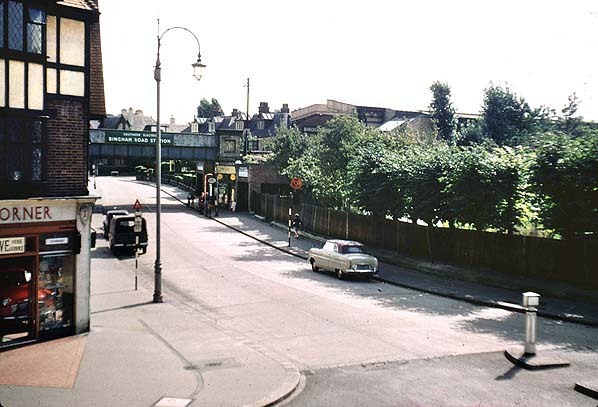 Coombe Road stations had been demolished. A short section of track between Selsdon and the footbridge at Spencer Road was retained to serve the Selsdon Oil Siding. 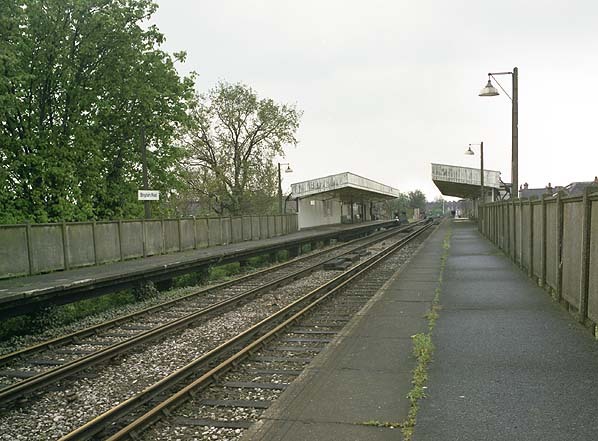 This finally closed in 1993 and although heavily overgrown the track is still there as is the down platform at Selsdon. Sandilands from where they would run into central Croydon. The first Tramlink route to New Addington opened on 10th June 2000 with the line to Beckenham through Addiscombe following on 23rd May. 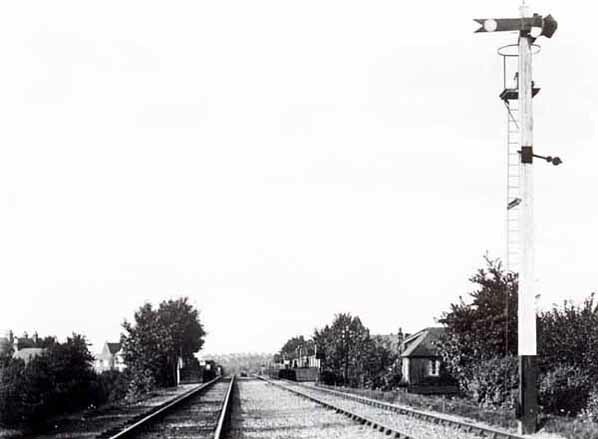 Bingham Road station looking north in 1950s. The site of Bingham Road Station looking south in January 2005. 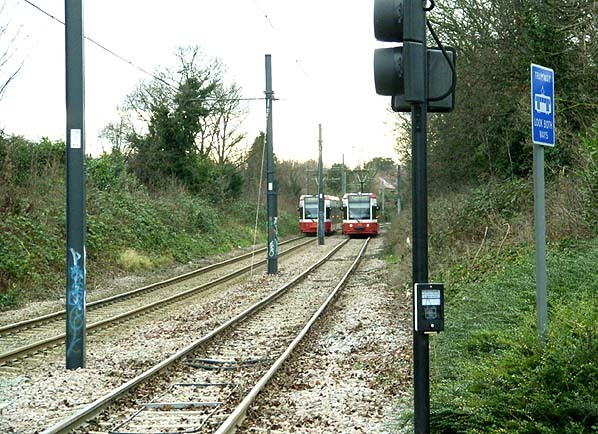 The tramway is at street level while the original Bingham Road Station was on an embankment.